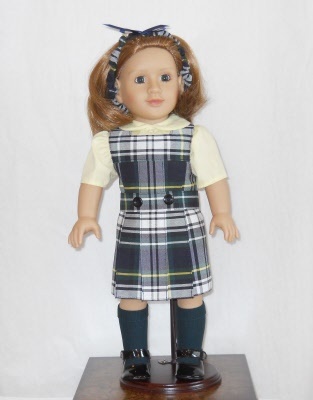 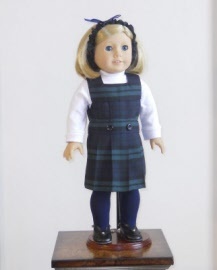 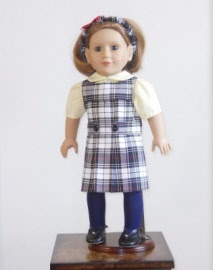 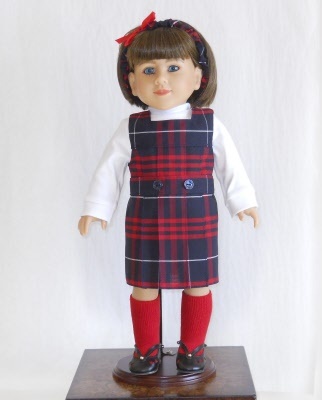 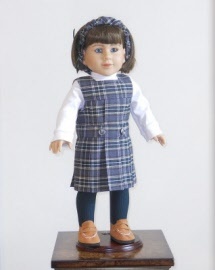 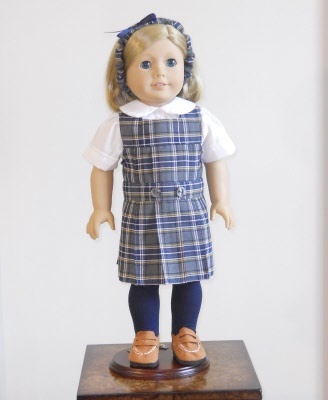 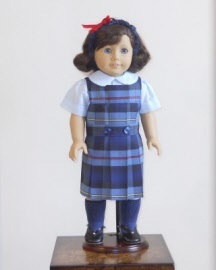 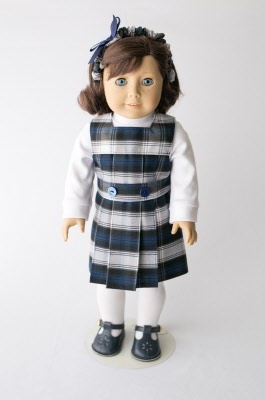 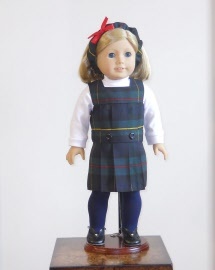 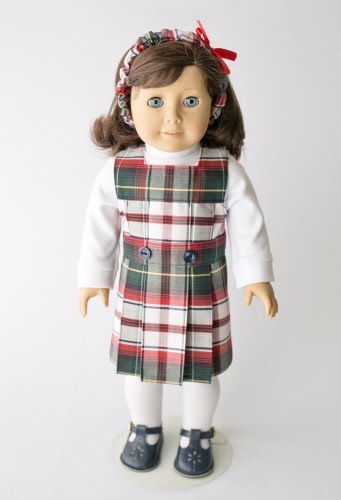 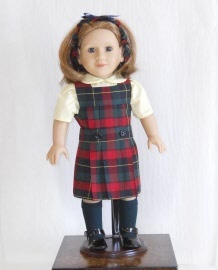 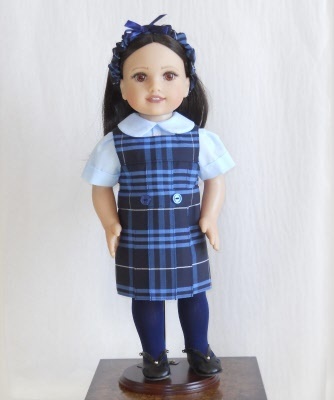 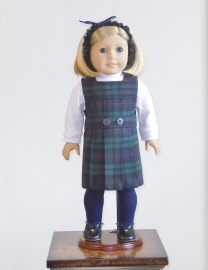 The American Girl Doll Tunic School Uniform is quickly becoming a popular style, with an up to date look. 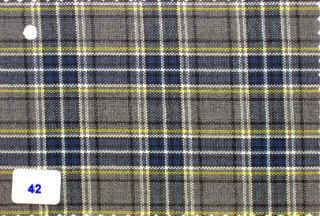 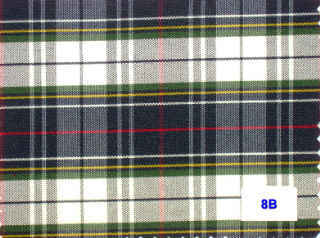 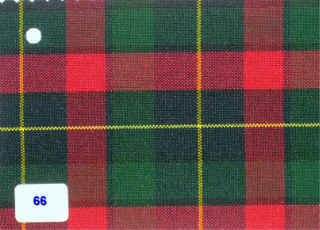 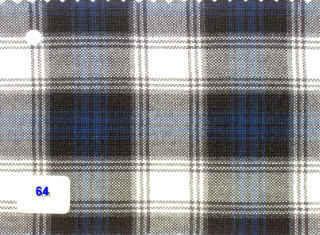 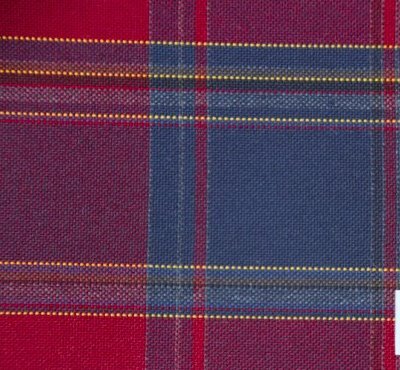 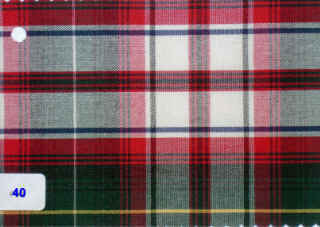 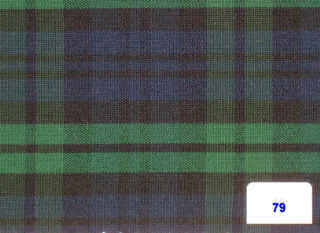 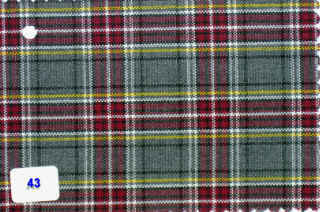 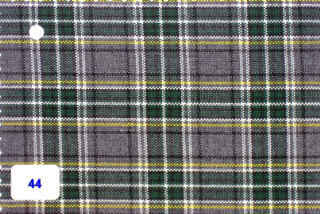 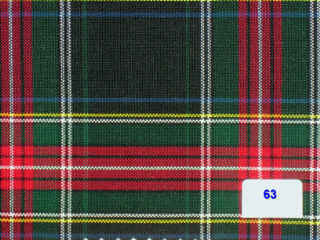 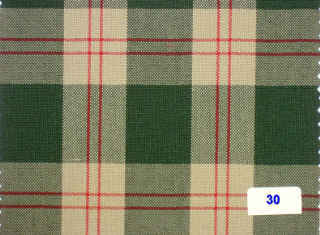 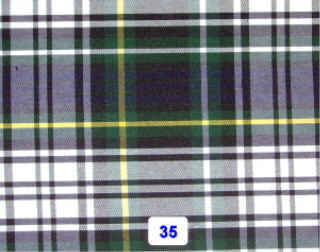 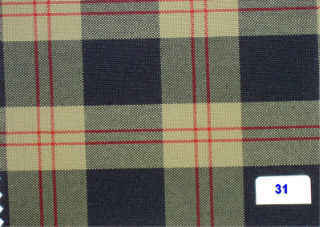 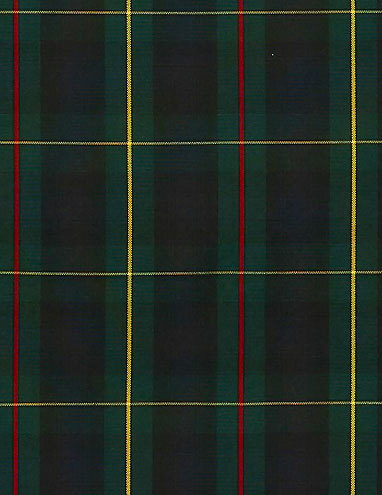 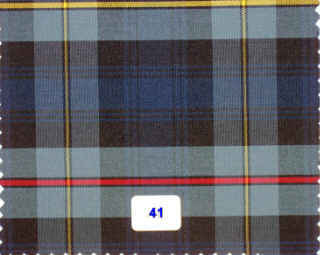 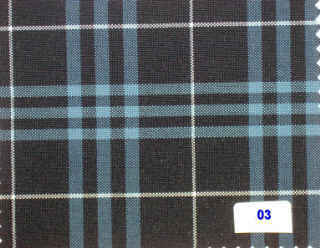 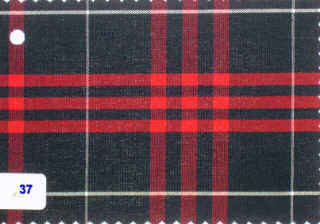 Pleats fall from a square necked yoke. 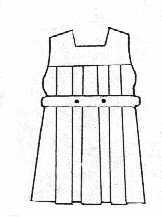 The tunic has a separate belt with 2 button accent. 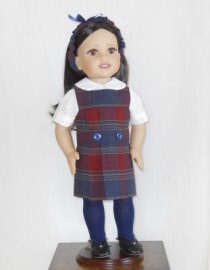 The Tunic uniform includes jumper, your choice of top, and hair band. 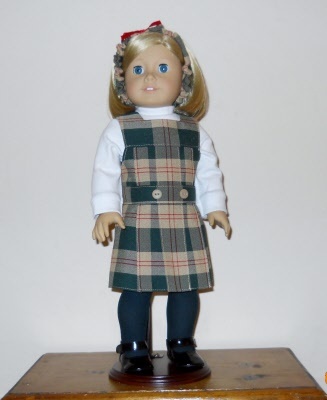 Top choices include, white, light blue or yellow blouse or white turtleneck. Complete the outfit with optional tights or knee socks and shoes.